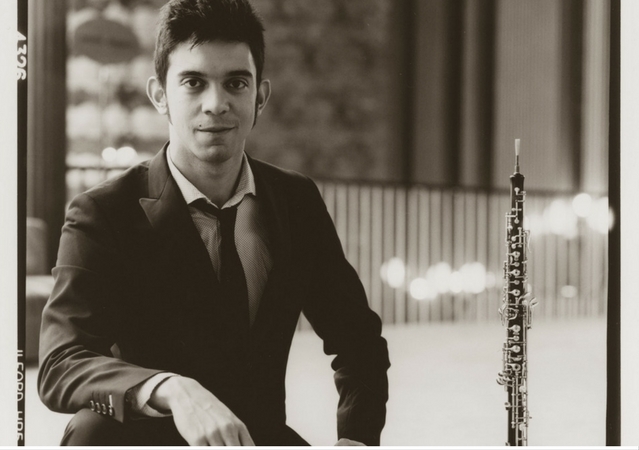 João Barroso began his oboe studies at the Escola Profissional de Artes da Covilhã (EPABI), with Professor Francisco Luís Vieira, concluding the course with the highest mark. Regarding professional orchestras, he played with Orchestra del Teatro alla Scala (Milan), Orchestra del Teatro Regio di Torino (Torino), Orchester der Opernhaus Zürich (Zurich), Symphonisches Orchester Zürich (Zurich) and Orquestra Calouste Gulbenkian (Lisbon). Between 2013 and 2015 he was a regular guest as Solo Oboe at the Ochestra del Teatro alla Scala, working with prestigious conductors as Daniel Baremboim, Riccardo Chailly, Fabio Luisi, Gianandrea Noseda, Daniele Gatti, Herbert Blomstedt, among others. As a soloist he has interpreted works from B. Martinu, T. Albinoni, J. S. Bach, A. Marcello, G. F. Haendel, J. Haydn, J. Sibellius, F. Ferran and F. Hidas. In March 2008, he won the 2nd prize at I National Wind Instruments Competition (concurso nacional de instrumentos de sopro) “Terras de La Salette” (Portugal). From 2009 until 2015 he studied at the “Zürcher Hochschule der Künste” (Zurich, Switzerland) with Professor Simon Fuchs. In November 2009 he won the 1st prize at the 9th “Concorso Internazionale di Musica per Giovani Interpreti”, in Chieri, Italy. Since 2015 João Barroso holds his position as Solo Oboe at the Orchestra del Teatro Regio di Torino, in Italy. He held a scholarship from Fundação Calouste Gulbenkian (Portugal) from 2009 until 2012.